Apple, Inc. Sued Over iPhone Name | BlackBerry Blast! 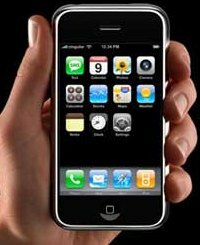 One day after Apple, Inc. finally unveiled its new iPhone, the company was sued over the iPhone name. Cisco Systems filed suit in U.S. District Court to prevent Apple from "infringing upon and deliberately copying and using Cisco's registered iPhone trademark." Everyone was shocked a few weeks ago when Linksys unveiled a VoIP phone called the iPhone. Speculation was running wild on whether or not Apple really would enter the cell phone market if they could not use the name iPhone. Cisco acquired the iPhone trademark back in 2000 when it bought Infogear. Cisco said it had tried to reach an agreement with Apple over the use of the iPhone name but when talks broke down, they filed the lawsuit. "Cisco entered into negotiations with Apple in good faith after Apple repeatedly asked permission to use Cisco's iPhone name," said Mark Chandler, senior vice president and general counsel at Cisco. "There is no doubt that Apple's new phone is very exciting, but they should not be using our trademark without our permission."